Life Cycles - Monarch Butterflies! 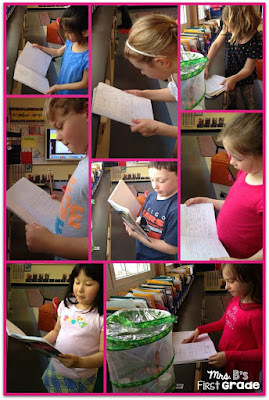 Our class has been interested in life-cycles during our year together. We started in the fall learning about the life cycle of a pumpkin. We have found life cycles in non-fiction text and several students have done further research on their own about various life cycles. It only seemed natural that in the spring we would continue. We studied the life cycle of the chick with Mrs. Hughes, but we wanted to have a life cycle happening inside our classroom as well. 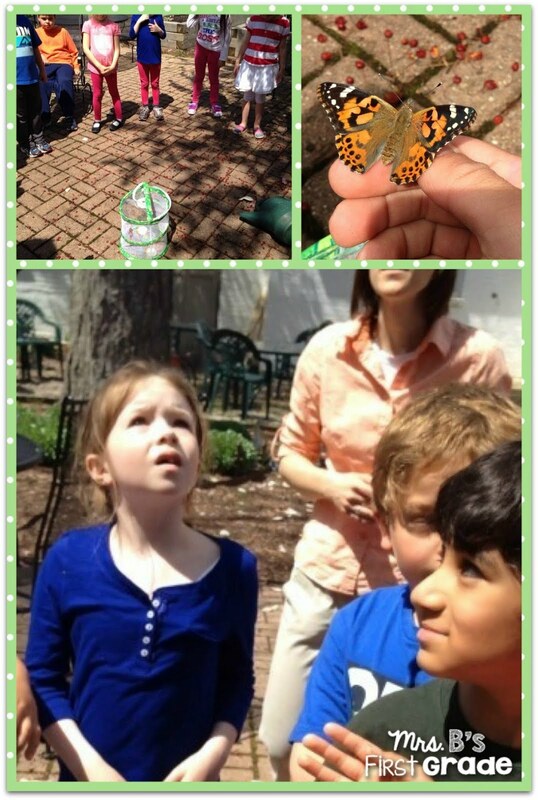 Butterflies were the perfect solution! 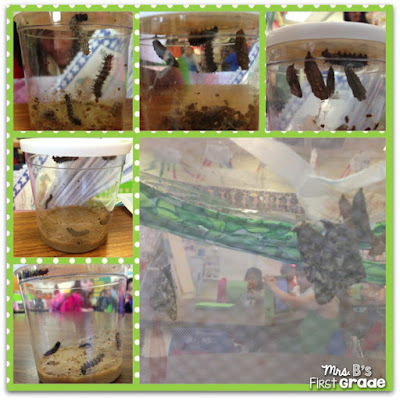 We got our butterflies as caterpillars. They ate their food very quickly and within a week transformed to chrysalises. Just one week later they became butterflies! We wrote books on our iPads use the Noteability app and studied more about the life cycle and insect. We were sad to let them go, but loved watching them grow. 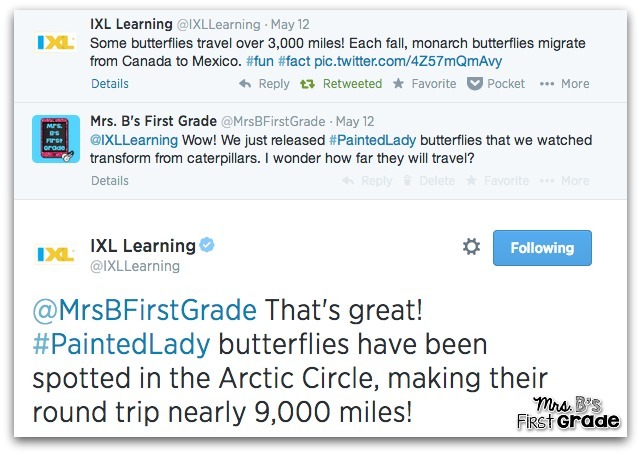 We even learned through Twitter that our butterflies will make along journey! Reading poetry to the butterflies. Click here to look at Mrs. B's example of her butterfly book on the Noteability app!